Michael specializes in office and industrial investment sales, as well as landlord and tenant representation in those fields. 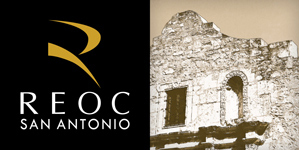 Before joining REOC San Antonio, Michael was a Director at Cushman & Wakefield | San Antonio Commercial Advisors. As a San Antonio native, he returned to the area and during his time at the firm became a market expert in all aspects of the greater San Antonio office and industrial markets. Most recently, he represented a prominent local museum in the successful acquisition of a 33,000 sf air conditioned industrial property. He also has a leasing listing project on a 34,000 sf office building off IH35 in the Northeast submarket and a leasing listing on a 50,000 sf office building in the Southwest submarket. He also represented a civil engineering firm in acquiring a new headquarters, a large energy company looking for an 80,000 sf facility in San Antonio, and a national concrete company in acquiring a flex property with a yard. Prior to returning to San Antonio, Michael had a twenty-one year career in commercial real estate with Pinnacle, an American Management Services Co. in Salt Lake City, UT. As Regional Vice President and Principal Broker for Utah and Wyoming for the commercial and multifamily fee management business, he personally managed a portfolio averaging 800,000 sf of office, retail and industrials assets. 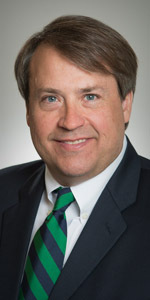 He represented clients in leasing efforts for landlords, as well as tenant representation assignments, completing nearly 500 leases in all product types over his career there. He also had a successful brokerage career handling acquisitions and dispositions for various clients, the highlight of which was the acquisition, rehabilitation, stabilization, management and disposition of the AT&T Building. This transaction created a profit of $4 million over an 18-month window. During his tenure at Pinnacle, Michael also was a project construction manager for capital rehabilitations and tenant improvement projects totaling in the tens of millions of dollars, over all four product types. Michael's experience and hands-on background give him the expertise to confidently advise clients on disposing of current assets or acquiring new ones. His strong work ethic allows him to work on behalf of his clients to acquire the best terms possible for their project, in the least amount of time and with no surprises. Michael stands ready to put that experience to work for you. Michael graduated from St. Mary's University with a bachelor of science degree.